People who know John Pritchett quickly acknowledge his professionalism, excellent communication skills, sense of humor, and emphasis on careful analyses and quality service. While at Virginia Cook, Realtors, Mr. Pritchett was a Top 30 Producer 2014-17 and Top Leasing Producer 2012-14, 2017-18. 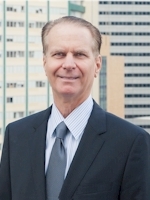 A Dallasite and graduate of Lake Highlands High School, John has held executive positions with companies involved in real estate development and management, software development, investment services, and Internet services. A CPA for more than 25 years, John has degrees from Rice University and the Tepper School of Business. As an Accredited Buyer Representative, Mr. Pritchett has met strict educational and practical requirements set by the Real Estate Buyer's Agent Council, and he is a recipient of the Seller Representative Specialist designation. Although John works in a variety of markets, his most main focus has been representing tenants and buyers. For a John's Complete Guide to Premier Dallas Rentals, click here. For information specifically on high-rise condos and apartments for lease, click here.